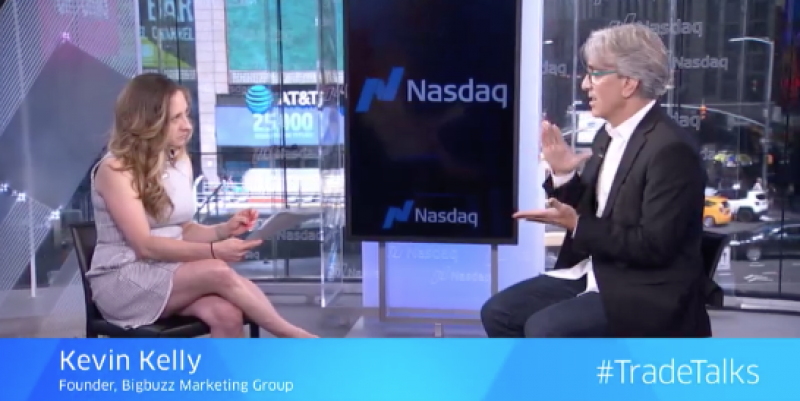 President, Kevin Kelly was featured in NASDAQ #TradeTalks hosted by Global Markets Reporter, Jill Malandrino. They discussed the state of digital advertising, data privacy, and missed opportunities on the brand side of business. Kelly explains the importance of “living the digital revolution” and creating very customized plans for clients...so custom that Bigbuzz creates fully-integrated omni-channel plans for each of their client-partners to suit their individual needs. Kelly also touches on the benefits of advertising targeting tools on social media platforms and expresses his view of targeted ads as advantageous to the consumer. Finally, Kelly points out the benefits of chatbots to create a voice for any brand. Steps Bigbuzz has taken to build brands for clients in anticipation of what’s next include influencer marketing and chatbot design.